MyStore, developed for fashion, beauty and other consumer-goods retailers, packs in a broad range of innovations. 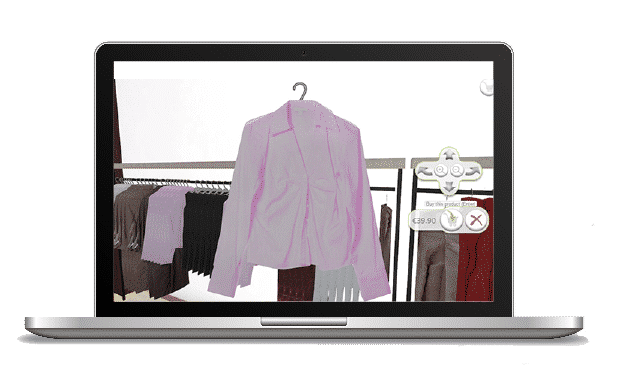 The solution creates incredibly realistic 3D models of retail boutiques and can help with decisions like the best location for the cash desk, the most suitable fixtures and products to place at the store entrance, the most practical location for the fitting rooms and which products to put at the back of the store. MyStore lets you test all possible combinations in a virtual environment. If you are planning to open a store in a given location, MyStore can offer some amazing possibilities. You can actually see the store’s design and merchandising and test different alternatives before the store is actually set up, saving precious time. MyStore serves as a central hub for all stakeholders involved in creating a new store. It makes collaboration between store managers, visual merchandisers, product selection, design and development teams simple. Physical tests cost valuable time – often days – and money. MyStore makes it possible to test many more alternatives (concepts, layout, fixtures and more) in less time. And the results are at least as good as with physical tests, if not better! Give your customers a superior shopping experience with MyStore. Enhance your brand image, boost interaction with customers and generate repeat business. MyStore uses drag & drop features. It is easy to ‘pick up’ a 3D object and place it in the virtual store, and you can see the results immediately! They use MyStore. See their success stories.